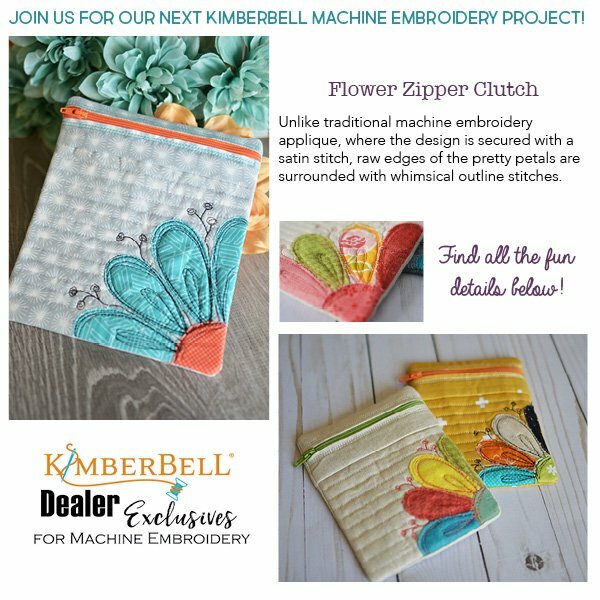 Each month Leslie will show you a new embroidery project from Kimberbell which is mostly finished in the hoop and some projects are completely done in the hoop. There will be a pattern available as well as a kit if you would like the fabrics as well, plus you will receive the design file needed to create the project. There will be a demo at 10am as well as 2pm. If you have an embroidery machine you will want to come to this demo. No sign up is necessary.